Swap alarm clocks for birdsong, enjoy a picnic beside a lake, or perhaps cuddle a wombat. 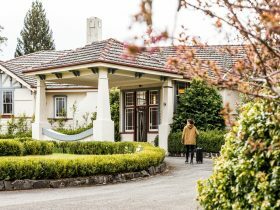 Experience the secrets of Tasmania’s Central Highlands and stay at Highland Cabins and Cottages, Bronte Park, on the Strahan to Hobart travel route. 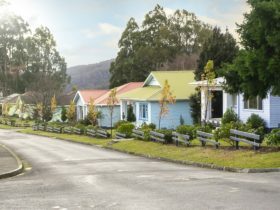 Just 3.2 km from the very centre of Tasmania awaits warm, modern, affordable four star self-contained accommodation. 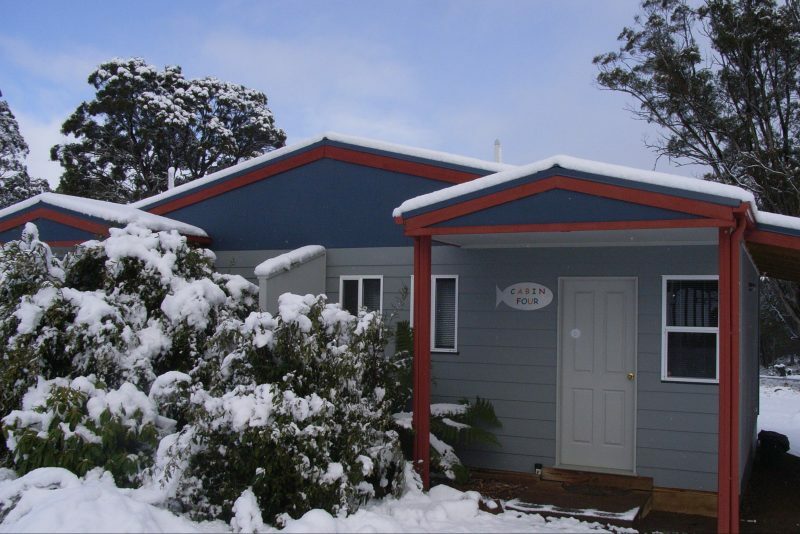 Studio apartments, spa cabins, family cottages are all spacious and restful. All offer excellent facilities, with added extras such as complimentary port and free DVDs. Most have wood heaters, and undercover car-parking. Some accommodation is pet friendly. There are two Tesla electric car charging stations. Relax in quiet accommodation that is sure to refresh and revive to allow exploration of this unique landscape. Hire a trout guide, complete with equipment, and experience fly fishing. 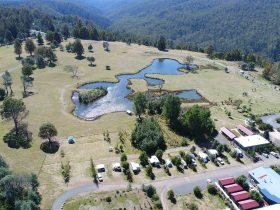 Bushwalk in nearby World Heritage National Parks, or perhaps explore eleven nearby lakes. Adventure seekers engage in kayaking or cycling. 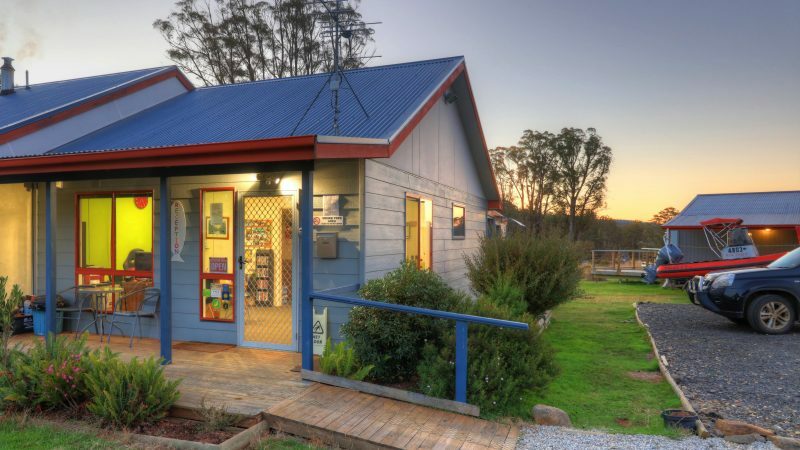 Soak up the area’s history with a visit to The Wall in the Wilderness, or the Waddamana Museum. 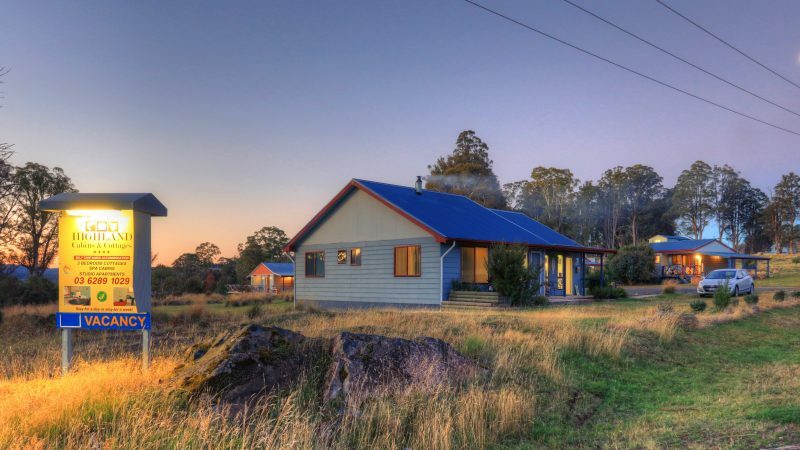 At days end Highland Cabins and Cottages really is a welcome retreat. Cabin Two, just for two people, is for romance. A woodfire warms this one bedroom spa cabin, furnished with a queen size bed. Full kitchen facilities, small deck, and shower over the double spa bath. Cabin Five has two bedrooms, each with a queen size bed. Choose from a walk in shower or a spa in the double bath. Enjoy a barbecue or cook a meal in the large kitchen, equipped with a cook top, under bench oven, or microwave. Relax on a comfortable lounge, and be mesmerised by a warming woodfire. Two bedroomed family cottages are all woodfire heated. Fully equipped kitchens. Toilets are separate from the bathrooms. Each cottage has its’ own laundry facility. Cabin One has a queen bed, two single beds, and a bay windowed seating area that can be made into a full sized single bed upon request. Cabin B, an older style of decor and fixtures, has a queen bed and a double bed. Cabin Six has a double bed, and two single beds. Two of the four studio apartments (Cabin Three and Cabin Four) have a Queen size bed in the spacious living area. Two other studio apartments (Cabin Seven and Cabin Eight) are slightly more spacious. Cabin Seven has two long single beds, and Cabin Eight has a King bed. Kitchens have microwave ovens, cook tops, and plug-in benchtop grill /ovens. The toilets are separate from the walk-in showers in the bathrooms. Undercover car parking. There is a communal laundry attached to our reception office for guests in Studio Apartments to use. Enjoy sitting outside on the decks. enjoying a bbq, a drink or watching the starry night sky. Prices are per double (two people).